A few drops of sun booster for a golden glow all year long! When re-applying, use the same number of drops to intensify your tan or reduce the number of drops to simply maintain the glow. Let the sunshine into your daily skin care routine with a few drops of golden glow! 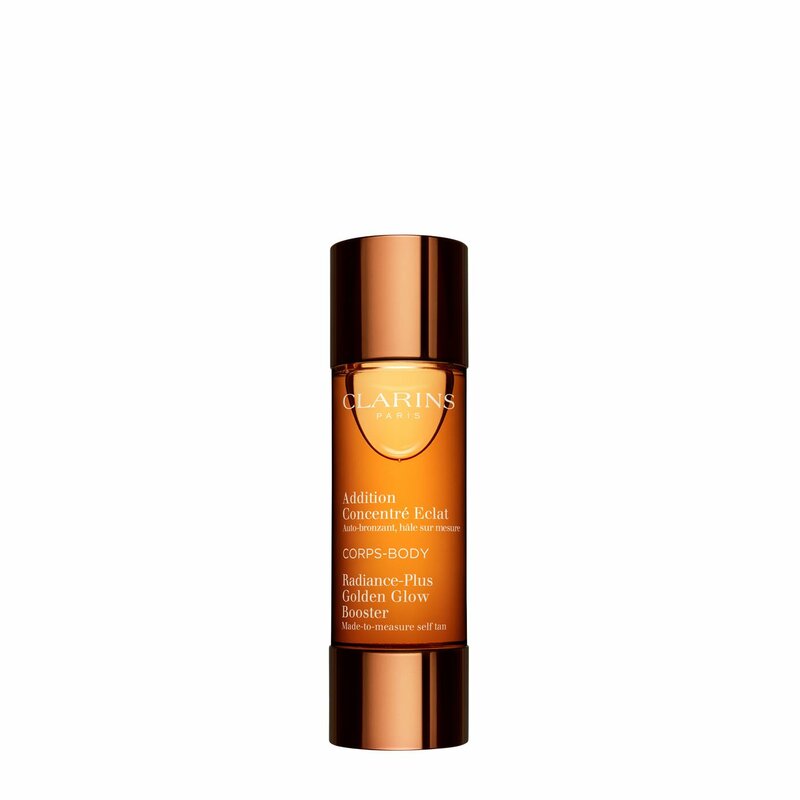 Radiance Plus Golden Glow Booster is a self-tanner that can be mixed with any Clarins skin care product to add a self-tanning effect to the moisturising and firming benefits of your usual skin care products. A 100% safe, ultra-simple step for a radiant sun-kissed glow that is incredibly natural-looking and can be tailored to your desired level. Build your own incredibly natural-looking sun-kissed glow. Hold the bottle upside down. Squeeze the bottom to dispense 4 to 6 drops. Combine the product with your body moisturiser in the palm of your hand. 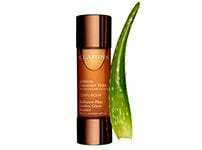 Apply evenly to legs, arms, midriff and any other area that needs some glow. Immediately after use, wash hands thoroughly. Do not use alone. Rated 3 out of 5 by Irish mama from Still smells like fake tan Bought this hoping that as I was combining it with moisturising cream it wouldn't stink. But it did! Just as smelly as any other. It did give a very natural glow. Think it will last as only using drops at a time. Rated 5 out of 5 by kyfz7 from Perfect I hate putting on tan as it usually takes a while to dry and has a distinct smell. I only wear tan if I am going out or for a special occasion and even then I would choose instant to avoid the whole hassle of letting it develop. I decided to try this tan and it is perfect for me! I just mix a few drops in with my body moisturiser and it gives me a lovely golden glow with no streaks. I’ll buy this product again. I do this once or twice a week to keep it topped up and have a lovely subtle tan! As it is mixed with moisturiser there doesn’t seem to be a smell. I definitely recommend this product! Rated 5 out of 5 by MONeil from Simply The Best This is literally the best tanning product on the market. 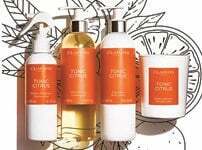 I have tried many different products, at all different price ranges, none come anywhere near this product. 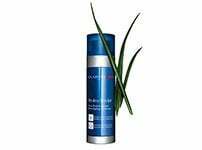 Goes on smoothly, never streaks - amazing results every time. Both myself and my daughter will not use any other tanning product. Rated 3 out of 5 by Mamapg from Disappointed Purchased on advice of sales assistant, I have used this 3 times and have only just seen some colour , I was told colour would appear after one application, I have found that it is patchy, will continue to use as quite expensive, will not purchase again think there is better products out there. Rated 1 out of 5 by EmmaBB from Completely disappointing I have found this product to be expensive and ineffective. It took me 3 weeks of use, following the directions provided, to experience any change in color (I have pale, peach-colored skin). I can finally notice the product today, but not in a glow and rather in an orangey patch on my arm. 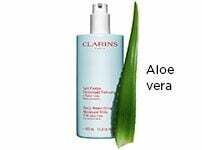 One of the most disappointing products I have bought from Clarins. Also there is a pretty noticeable self-tanner odor that made my sheets smell. Rated 5 out of 5 by vezwhitt from So natural I use this daily; it gives a subtle and natural tone to my usually pale winter skin. I am delighted to have discovered it. Easy to apply- 3 drops in my Clarins facial moisturiser is perfect. Rated 5 out of 5 by SandraH from An essential little bottle This product is really useful. Add a few drops to your usual body moisuriser to add a warm summer glow, or help maintain an existing tan without the smell of the usual fake tan products. The small bottle makes it handy for taking away and it last for ages.